My needles have been on fire! Not in the Caroline Fryar sense of “on fire”. Seriously, that girl can knit. Not only that, but she is quite the up – and – coming designer. I’m ridiculously proud that my Emily got to model some of Caroline’s garments for the JMF spring books, because before long that girl’s name will be all over the place. I have been keeping my head down and zooming through some projects I’ve had going for awhile. I’ve still got at least 5others going on needles now, but that’s a story for another day. 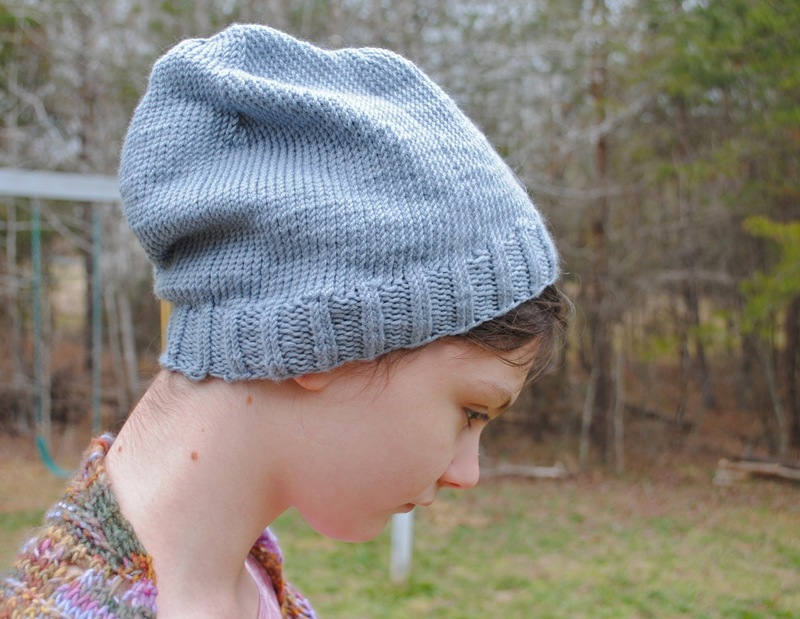 I finished a hat for myself while Paul was in surgery – I wanted a slouchy but simple thing to keep my head warm around the house (and possibly in bed) while the cold winter settled over us. Unfortunately the cold winter never materialized, so the broken upstairs heat pump has been not much of an issue. And I haven’t really gotten to wear my hat at all. 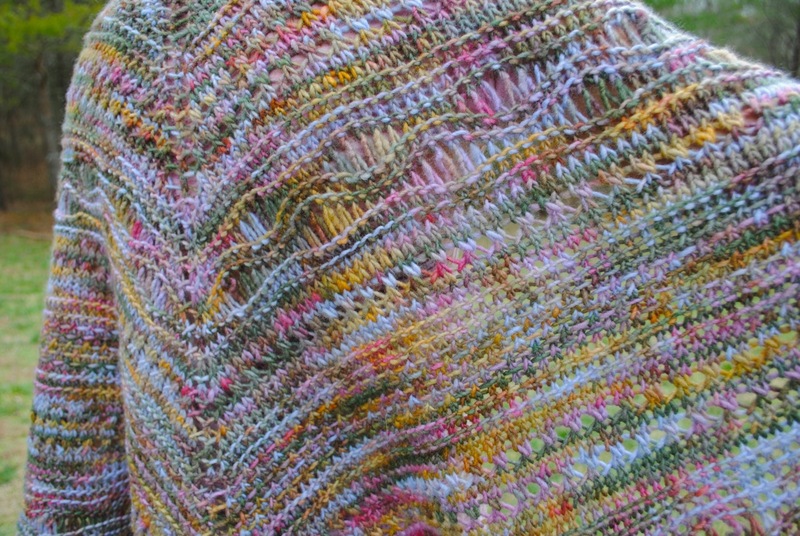 The yarn is Debbie Bliss “Baby Cashmerino”. It’s light, it’s soft, it’s a perfect icy, wintery blue. If only it were really winter instead of fake spring. The other finished thing was actually finished for quite awhile now but awaiting blocking. It’s a good thing I finally managed to get it done because it’s a very belated Christmas gift for my grandmother. 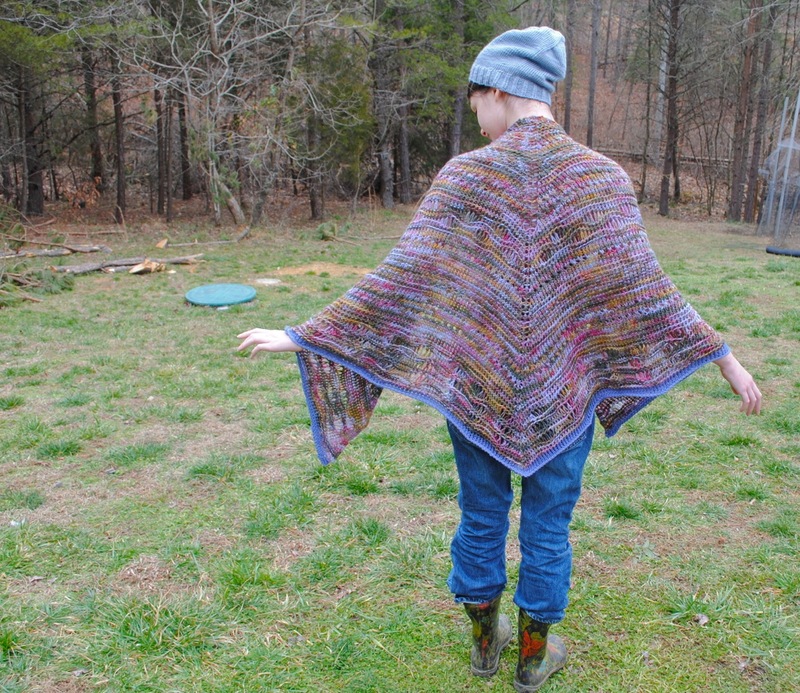 It’s another “Far Away, So Close” shawl, this time knitted in Malabrigo. I don’t remember which Malabrigo or even the colorway because I lost the tag. Surprise grandma! I’ll have it in the mail ASAP. 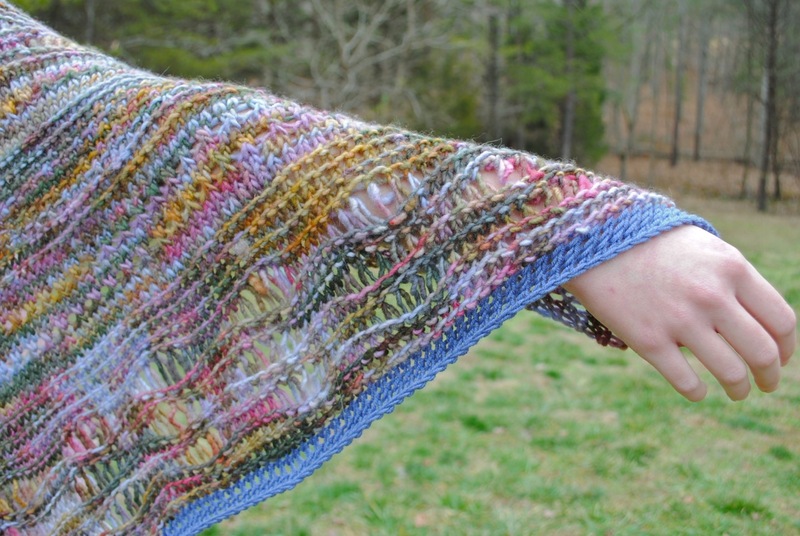 It’s super – soft and warm, and Emily is upset that once again she was asked to model a shawl that she does not get to keep. Yes, I get the hint. It’ll be nice and cozy with my grandmother, who lives not far from Buffalo, where it’s much colder than it is here.